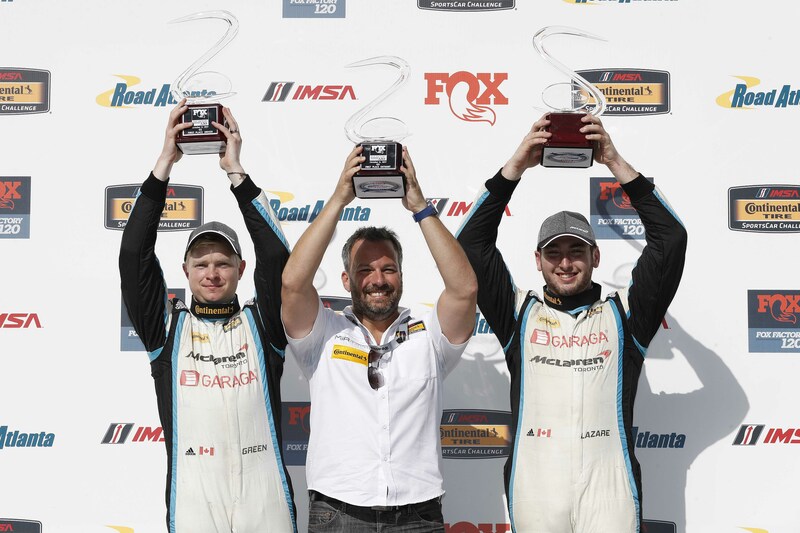 NewsHome » News » Victory for Jesse Lazare, Chris Green and Team MIA in Georgia! Victory for Jesse Lazare, Chris Green and Team MIA in Georgia! 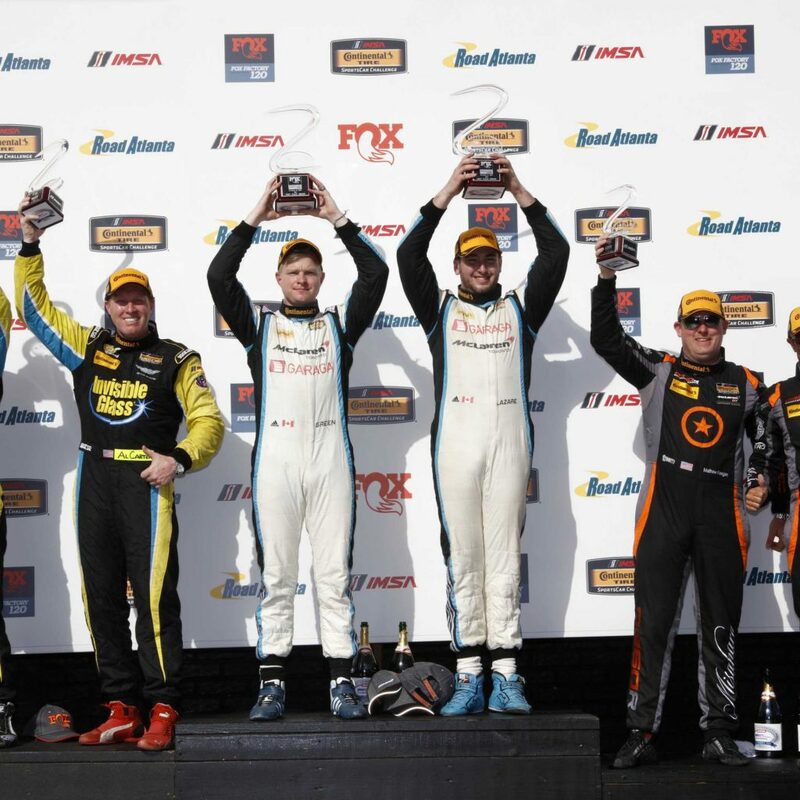 October 7, 2017.- This weekend, on the Road Atlanta circuit in Georgia, the 2017 season of the North American Endurance IMSA Continental Tire SportsCar Challenge came to an end. 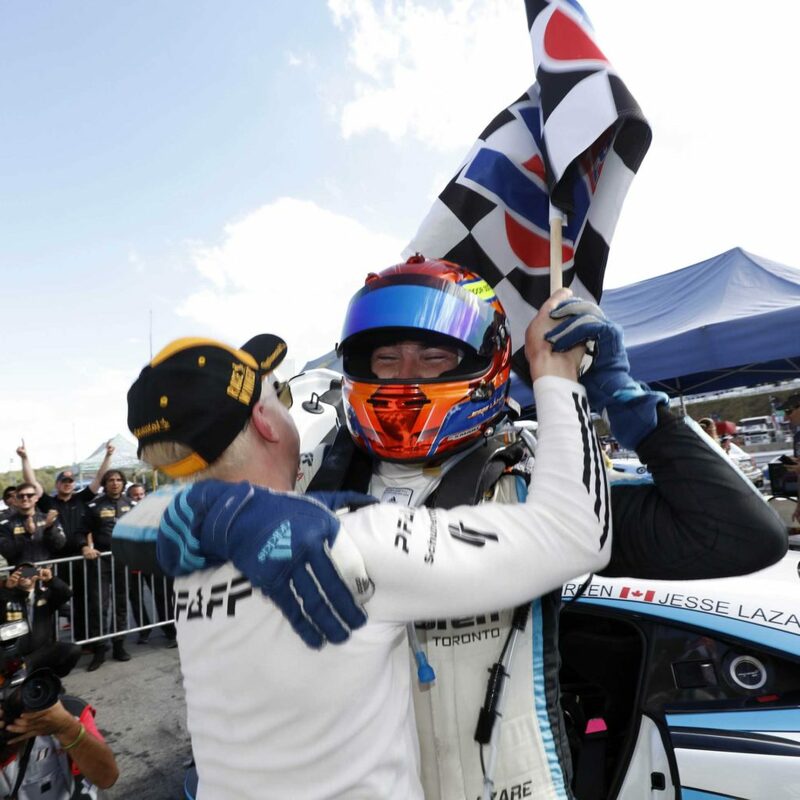 A season that the Quebec Motorsports In Action (MIA) Team and its Montreal drivers Jesse Lazare and Chris Green fully contested, from March until October, and ended on a high note by claiming a magnificent victory yesterday, crowning the efforts of the entire team. 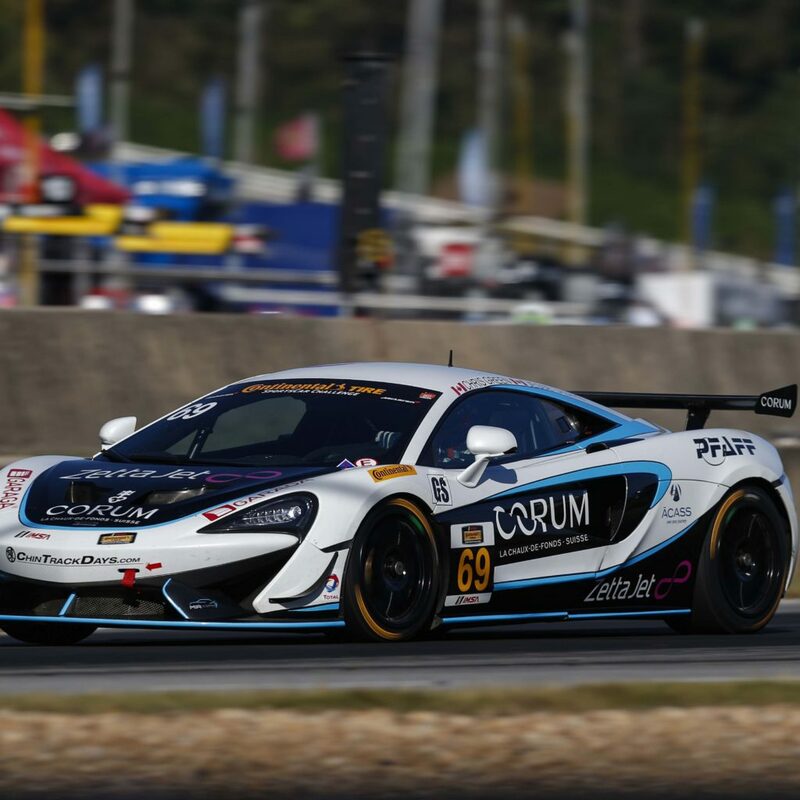 At the end of the two-hour race, the #69 McLaren 570S driven by Chris Green and Jesse Lazare finished in first place, after having led the majority of the laps. The tenth and last race of the season, this two-hour event held as part of the twentieth anniversary of the popular “Petit Le Mans” at the Road Atlanta circuit, was highlighted by the heat, spectacular battles at the front of the pack, and a dominant effort by the MIA team for a good portion of the event, right through the finish line. The #69 Pfaff McLaren and Garaga McLaren, driven by Jesse Lazare and Chris Green, progressed up the leaderboard throughout the duration of the weekend, despite a crash during the test session on Wednesday: Jesse had a catastrophic front left tire failure which delaminated moments before impact. When he put the tire under load in the last corner at 192 kph there was no turning the car. Tire has been sent to the lab by Continental Tire for further investigation. Seventh during the first practice session, and first in the third session, the team, with Chris Green at the wheel, qualified on the first line. Right from the start of the race, Green maintained his second place, before taking advantage of the first neutralization to refuel. This tactic was perfectly executed by the MIA team mechanics, enabling Chris to take the lead once the racing restarted. 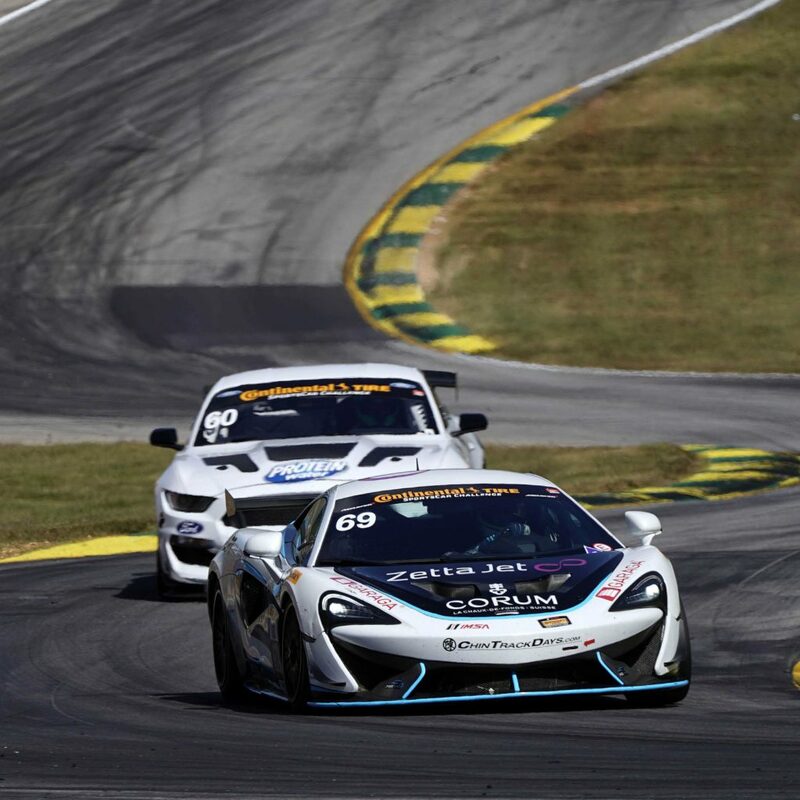 The following laps gave the spectators a great battle for top spot between three cars and just as the mid-way point of the race took place, in conjunction with a second neutralization, Green and the MIA McLaren were once again in the lead. When it was time to switch drivers, refuel once again, and change the tires, the MIA team did another remarkable job and Jesse Lazare took to the track still in first place. This exceptional victory rewarded the MIA team for all their hard work all season, despite barely missing out on success earlier this season, for the #69 McLaren. 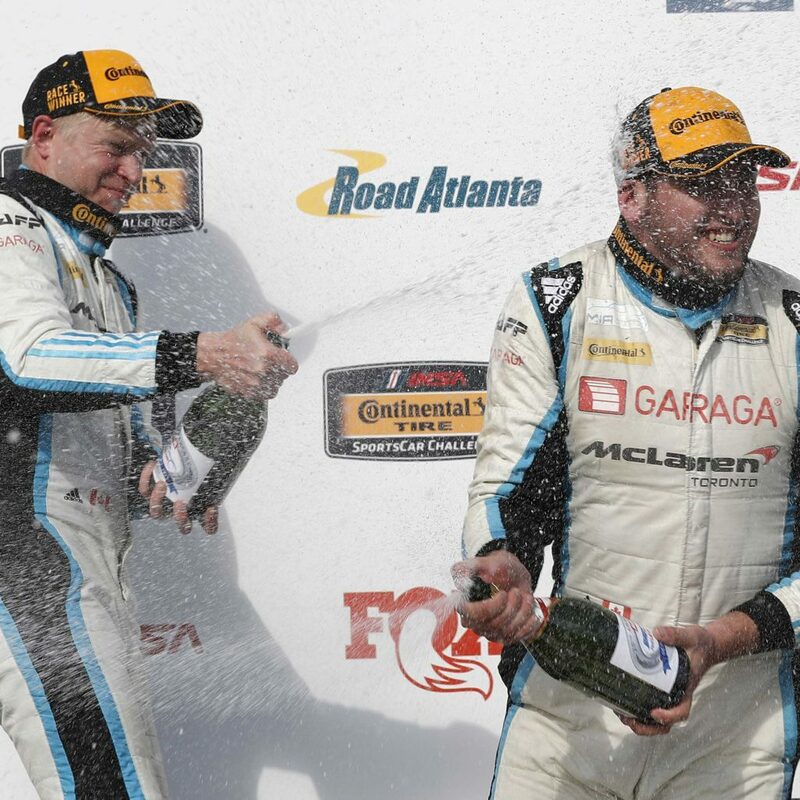 At Road Atlanta, everything came together. “This is an extremely emotional victory for not only me, but the whole team that put all their love and effort throughout the whole season. I want to personally thank Carl Hermez that put this super star team together and achieved so much for a new team! Can’t wait for next year!” indicated Eric Kerub, team owner. This success concludes the 2017 season for the MIA team, Jesse Lazare and Chris Green finished in sixth place in the Grand Sports final standings. More details regarding the 2018 plans of the team and their drivers will be announced soon. Since 2002, Motorsports In Action has been building race cars for various local and international series, acquiring a wealth of knowledge and resources along the way. Our race shop is well known for high-end mechanics, exotic automotive maintenance, complete race car building and design, prestige paint, and meticulous detailing. previous post: A Seventh Place Finish Misrepresents the Efforts of Jesse Lazare, Chris Green and the MIA Team in California!